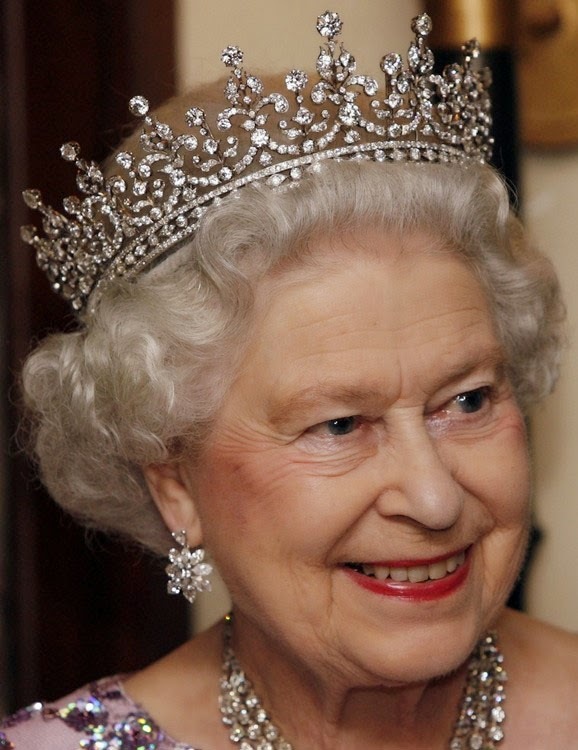 Creation: This tiara was commissioned by Lady Eva Greville from Garrard and made by E. Wolff & Co. in 1893 using money collected from the girls of Great Britain & Ireland. It could be worn on a smaller coronet frame or as a necklace. 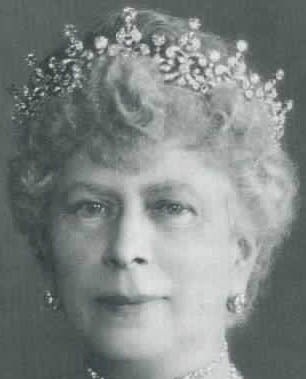 In 1914, Queen Mary had the top pearls replaced with diamonds from the County of Surrey Tiara. 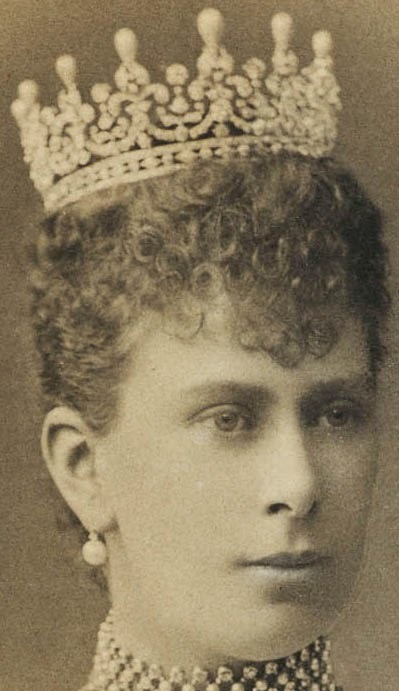 The pearls were then used in the Cambridge Lovers Knot Tiara. 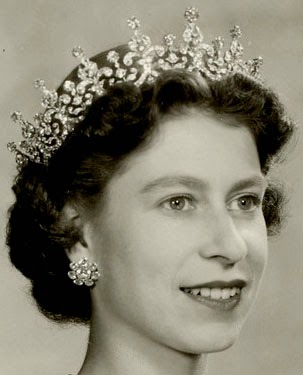 The base of the tiara was removed and worn separately but in 1969 Queen Elizabeth II had it reattached to the rest of the tiara.